The index opened flat and stayed weak throughout the entire session of trade to close near the lows of the day at 7460.60, huge loss of 78.15 points. The broader market was weak with 506 advances to 1037 declines. The range stays at 7000-7700. Call option 7400-7800 added huge 16.28 lacs OI with profit booking seen at 7900 and above strike prices. Put option 7400, 7100-6700 added 5.15 lacs OI with profit booking seen at 7200 strike price. Nifty Open Interest is at 2,15,94,900 down by 1,60,425, with decrease in price, most probably long liquidation. 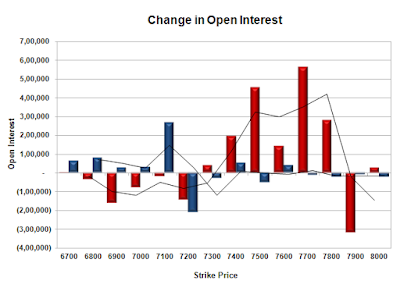 Bank Nifty Open Interest is at 18,24,240 down by 51,540, with increase in price, most probably short covering. FII’s bought 2.53 lacs Futures, which includes net 2748 contracts long build-up and 7389 contracts short covering, with decrease in net OI by 4641 contracts, includes 35287 longs to 25150 shorts for the day. 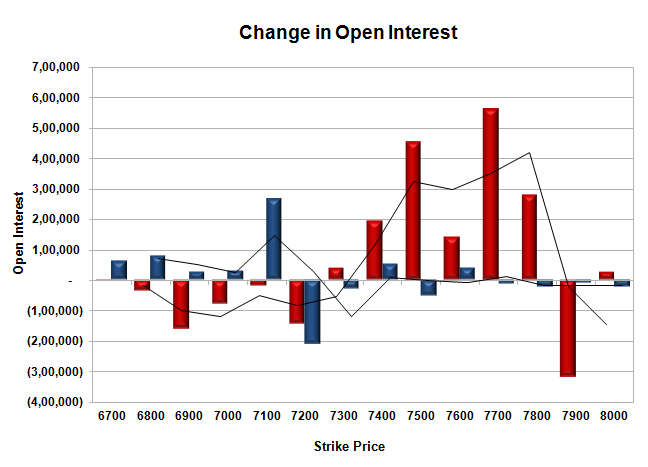 FII’s Index future open contract as on date is 187570 Longs to 120974 Shorts, Net 66596 up by 10137 contracts. 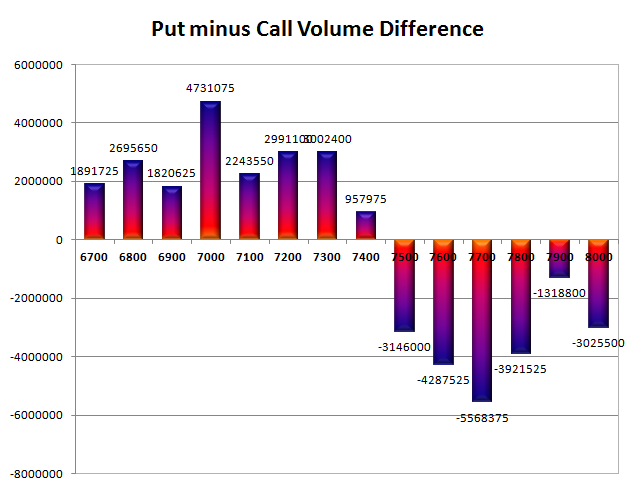 Initial support at 7400, with OI of 50.03 lacs and below that at 7300 with OI of 48.61 lacs. 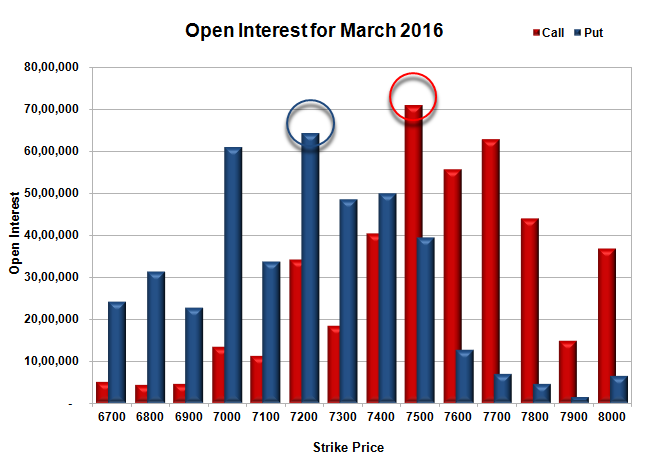 Initial and best resistance at 7500, with highest OI of 70.93 lacs and above that at 7600 with OI of 55.73 lacs. 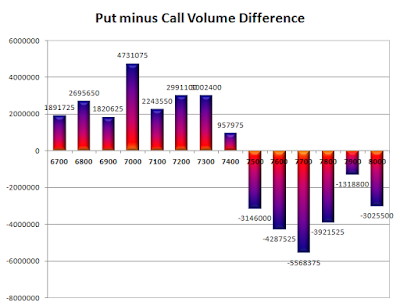 Day Range as per Option Table is 7398 - 7558 and as per VIX is 7392 - 7529 with 7486 as the Pivot.